Each heart is approx. 2" x 1.5" All fabrics vary. Product includes one (1) heart pin. 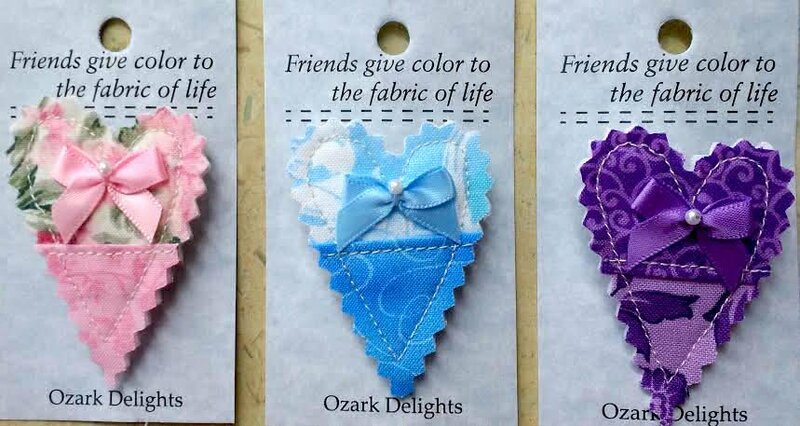 We are sure you will enjoy all of our pins from Ozark Delights.